We want to offer our clients the most avant-garde designs, with an excellent quality and a conscientious service. This policy has brought us the possibility to be present in more than 100 countries throughout the five continents with a consolidated distribution network built up over the years. Thanks to this fact, we have been several years awarded with the export prize granted by Chamber of commerce. 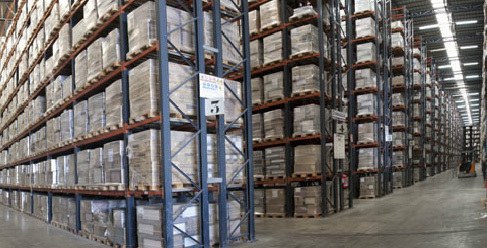 We have an automatic warehouse which gives us an advantage in handling, logistics and makes it easier for us to meet the individual needs of our clients, who rely on the promptness and efficiency of the processing of orders. At Geotiles, we have always been concerned for the environment and the use of environmentally friendly technologies, high quality, safe raw materials and the best possible working conditions.